Results: 1 to 10 of a total of 39 results. Does lyjackson belong in this group? Does fernandogim belong in this group? procurando um amor oi, sou um arquiteto brasileiro, muito interessado em artes, cozinhar para os amigos, nadar na praia e namorar com meu eleito. Gosto muito de viajar também e sempre que posso vou aos EUA. Busca um relacionamento serio, pois sou muito comprometido com aquele que estou amando. Tenho forte atração por fisiculturistas e s----lmente sou passivo. Does andreafilippo belong in this group? Does priscila1983 belong in this group? Does sanmotta belong in this group? Does doomina belong in this group? Homeland Mainly to keep in touch with my fellow brazilians. Does direrod belong in this group? Olá!!!! Olá meninas! Venho em busca de companhia pra sair, viajar e me divertir. Does windslash belong in this group? American wants to learn portugease in Las Vegas I want to meet people from Brazil so I can learn the culture and language. 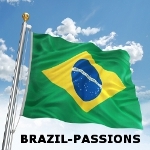 I like to eat, music and movies and plan to visit Brazil in the near future. Does iam99930301 belong in this group? Does engbitten belong in this group?